A farm in Patton Valley, north of Gaston, Oregon and near Scoggins Valley. Scoggins Valley was flooded and dammed into Hagg Lake in 1975. 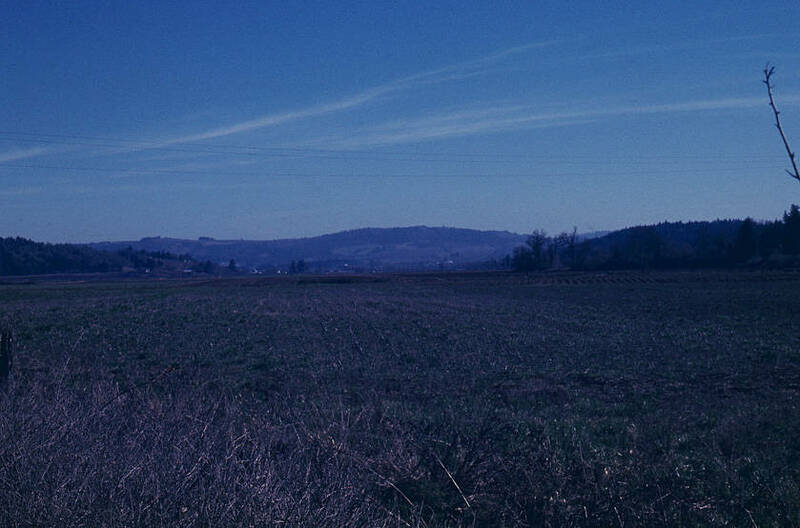 This slide is a part of the Scoggins Valley Dam Collection (RG.5.12). [front] 30 MAR73 Arg. Patton Valley Looking E.